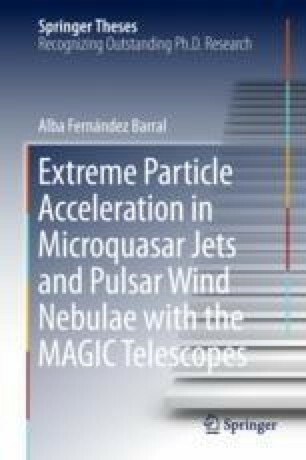 In this chapter, I will describe in detail both hardware of the Major Atmospheric Gamma-ray Imaging Cherenkov (MAGIC) telescopes and the software used in the analysis of the data. Moreover, I will give an overview of the planned CTA, future generation of Cherenkov telescopes. Although this thesis focuses on the work performed with these two IACT arrays, other gamma-ray detection techniques were used in the analysis and/or discussion of several sources included here. Therefore, I will also describe briefly in this chapter the Fermi-LAT detector and the wide FoV observatory High Altitude Water Cherenkov (HAWC).